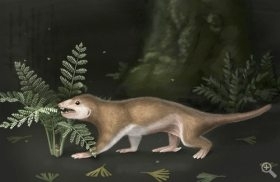 Researchers have now discovered a 165-million-year-old proto-mammal fossil. The relic shows that animals had developed fur and hair before the evolution of true mammals. The ancient mammalian relative is named Megaconus mammaliaformis and its biological features are described by University of Chicago scientists.